Hi everyone. Today it's Carol here with a project for you. This was created by making envelopes with the WeR Memory Keeperss Envelope Punch Board and decorating with the fabulous Cottage Cutz Dies. Thanks to the wonderful crafter who created this tutorial it was a breeze. 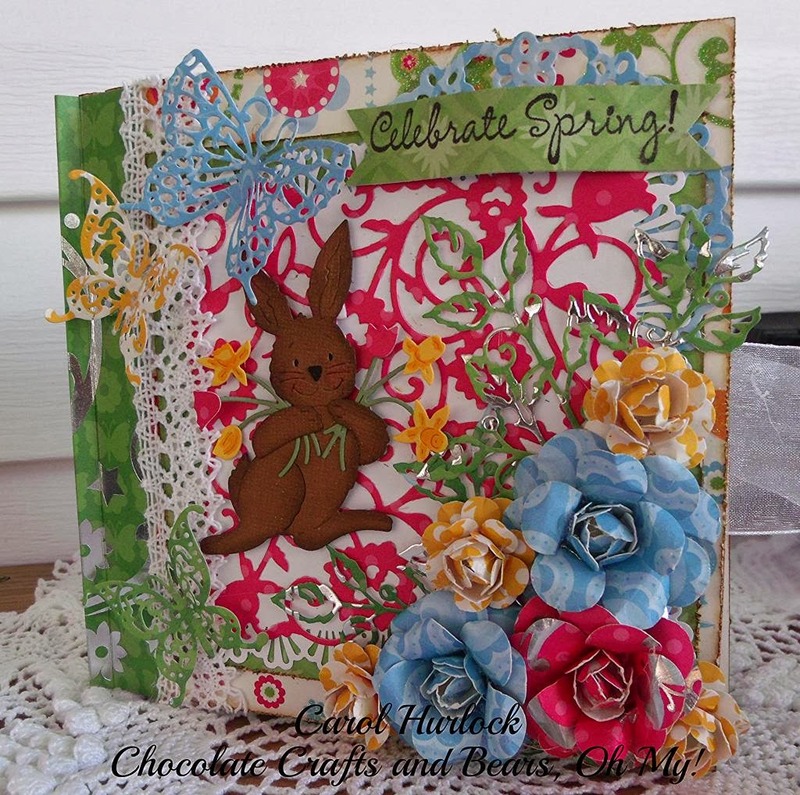 Today I am going to show you my cover using the dies from the Garden Delight release. Of course, I used a few other ones in my Cottage Cutz collection that coordinate perfectly with this release. 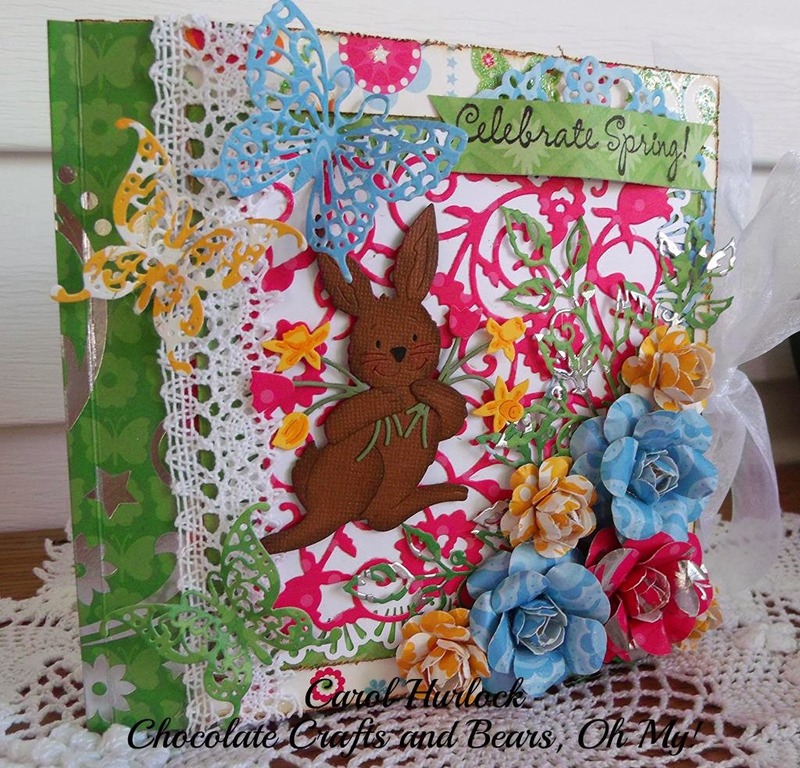 The cover uses Springtime Bunny, Garden Delight Butterflies, Lace Flower Doily, Bella Leafy Branch, and Fancy Floral Background. Blossoms and Butterflies from DCWV is the paper collection used in this project. The edges of the paper have been distressed and inked with tea dye distress ink. The flowers were created with a large and medium five petal Marvey punch. The stamp is from Michael's $1 bin from a few years ago. Please stayed tune to more reveal of my project this month. My mini album was made with 4 envelopes created on the Envelope Punch Board. It was so fun to make and holds lots of pockets and pictures. I can't wait to show you the rest of the 22 Cottage Cutz dies I used to create this. That's right---I used a total of 27 Cottage Cutz dies for this album. I think that is a record for me....lol Thanks for stopping by today to view my project. Until next time, Happy Crafting! So beautiful, Carol! 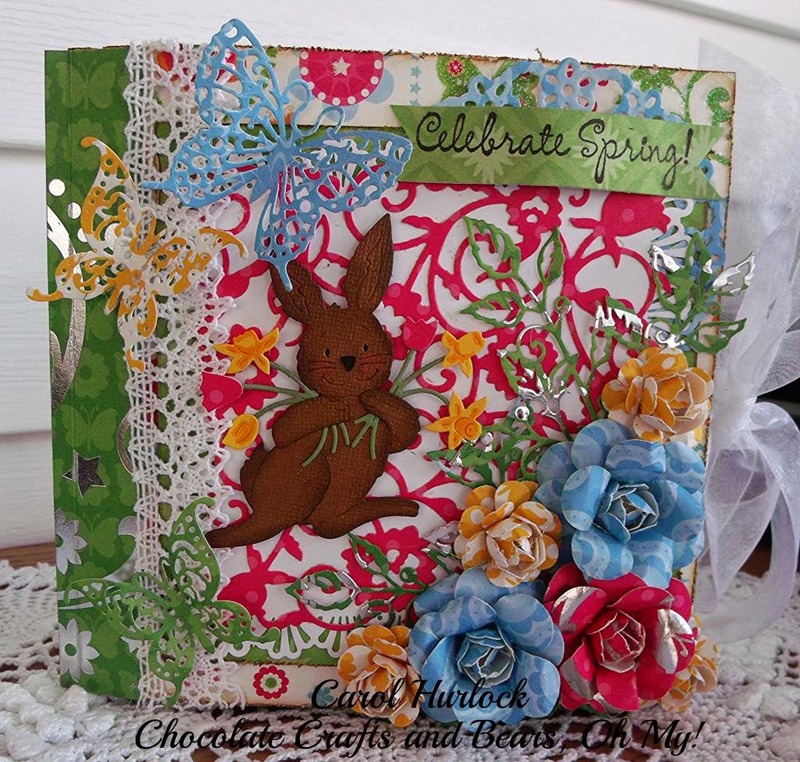 What a great idea to use the WRMK Punch board and make an envelope album. Your front page looks stunning. 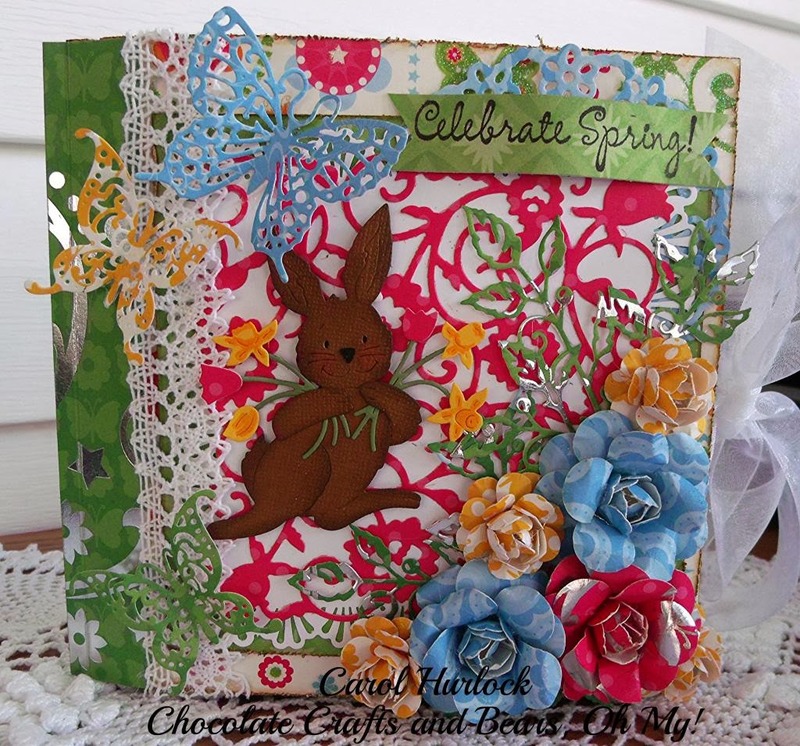 I love the colors and the CottageCutz mix of dies you combined so well on your page. I am adding more CottageCutz dies to my Wish list... :). Perfect!!!!! Love this card!!!! Great job! WOW!!! this is shadow box frame worthy!! Carol, this is perfect spring album cover.